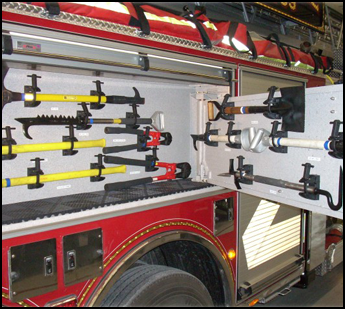 Keep your fire truck or emergency vehicle in excellent condition with routine fire truck repair in Lansdale, PA, from KALER Motor Company. We perform repair and maintenance work on a variety of emergency vehicles, both in our shop or at our customers' stations. In addition, we can offer a truck or ambulance for sale. We have many different vehicles to choose from if you're looking to add a new truck to your fleet. Contact us for more information about our pricing and inventory. KALER Motor Company employs major manufacturer-factory trained technicians, as well as Hale/Waterous factory-trained technicians. We are ASE and EVT certified technicians, following the NFPA 1071 Standard for Emergency Vehicle Technician Professional Qualifications with annual testing.